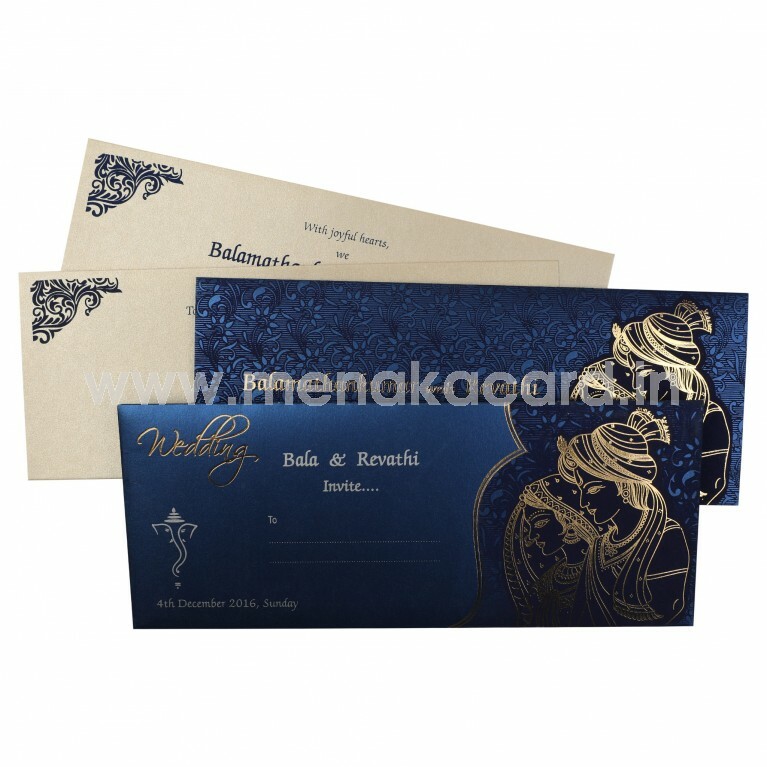 This Majestic Royal blue Raja-Rani card is made out of a textured metallic board and has subtle dark Blue floral lancer prints gracing the front of the card pouch. The Raja-Rani on the front are printed with a dark blue color filling, outlined with gold to making the design pop out gracefully. The card has a plain cover made from the same material and opens to reveal two cream inserts arrange in a step model design for each separate event. 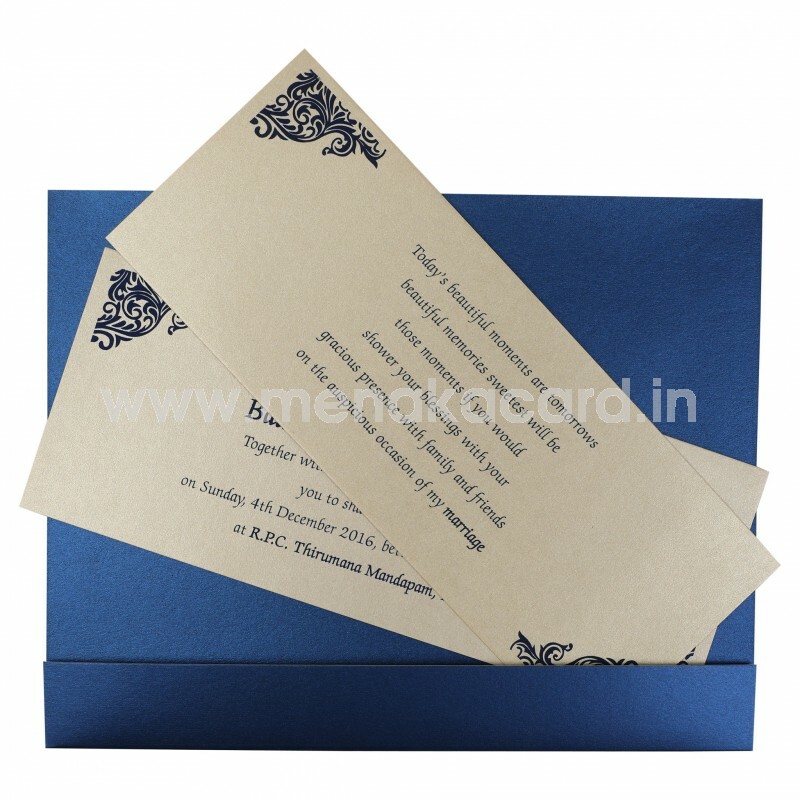 This Hindu wedding card can also be used for engagements, receptions or even for personal invitations to friends and colleagues.